Hey Liberals, the TEA Party is not going anywhere. You lose! 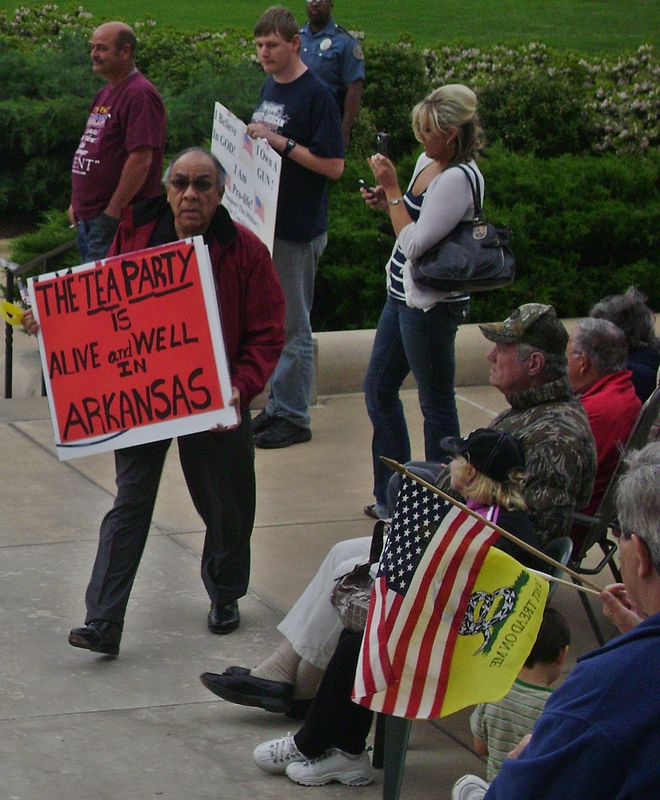 Here it is – the third annual Tax Day TEA Party in Little Rock!!! What have you got? The shame of a lame blame gaming Bogus President who is tanking the USA, starting wars, and surrounded by the he most deviant of criminals? Oh… I so needed my annual gathering of like-minded and red blooded Patriot Americans. Lt. Gov. 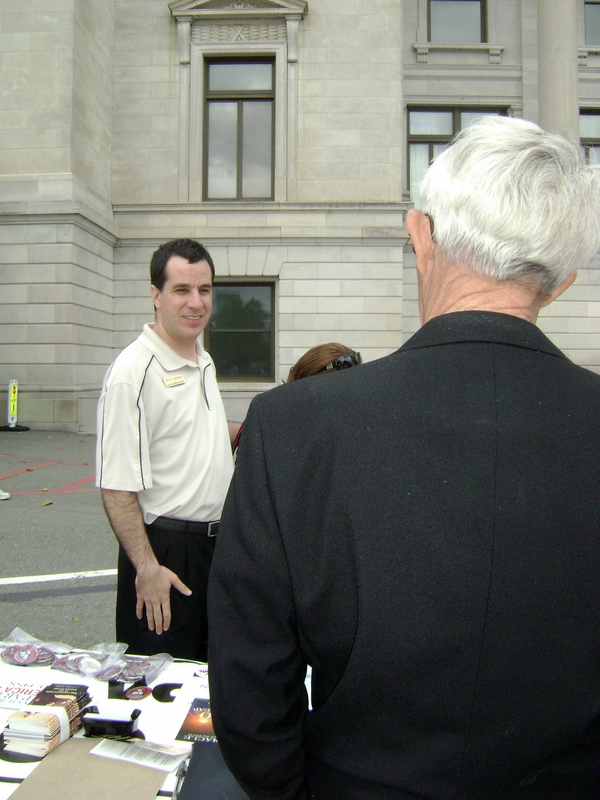 Mark A. Darr does a beautiful rendition of the “Star-Spangled Banner” verses 1 & 4 at the Little Rock Capitol Building, Little Rock, Arkansas on this, the third annual Tax Day TEA Party. There was such brisk winds and multitudes of patriots! Fabulous Job Sir! 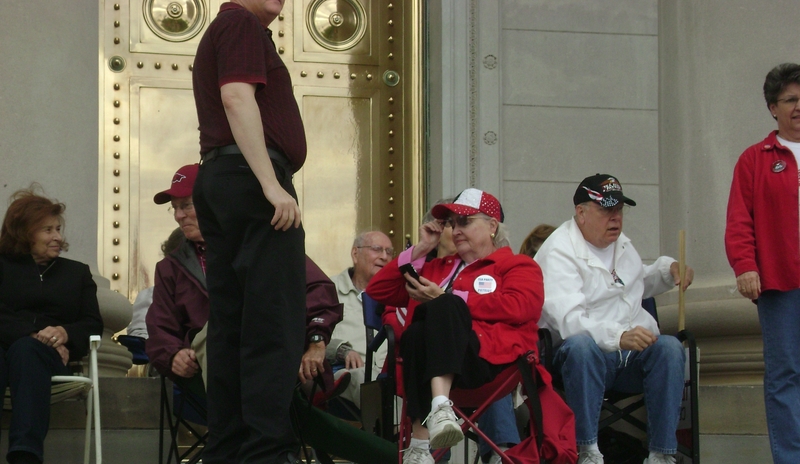 I could not stay for the entire event but while I was there, a couple of hundred Patriots were in attendance and more were arriving at the 6 o’clock hour. It was just the re-energizer I needed! Fools and their money are soon parted! By the way, Madison Wisconsin probably had earned the best tourists’ dollars seen in any winter months, this past 3 weeks or so. Capitalists won in Madison as well. I am sure the tourists’ dollars will be sorely missed, however no one will miss the hostile forces and unscrupulous tactics that the Left have proven to exude. Where’s that self-professed “Civility”? Must be that a Liberal’s civility and IQ level go hand in hand and that bar is set so low. Way to Break Out of Union Clutches, Wisconsin! 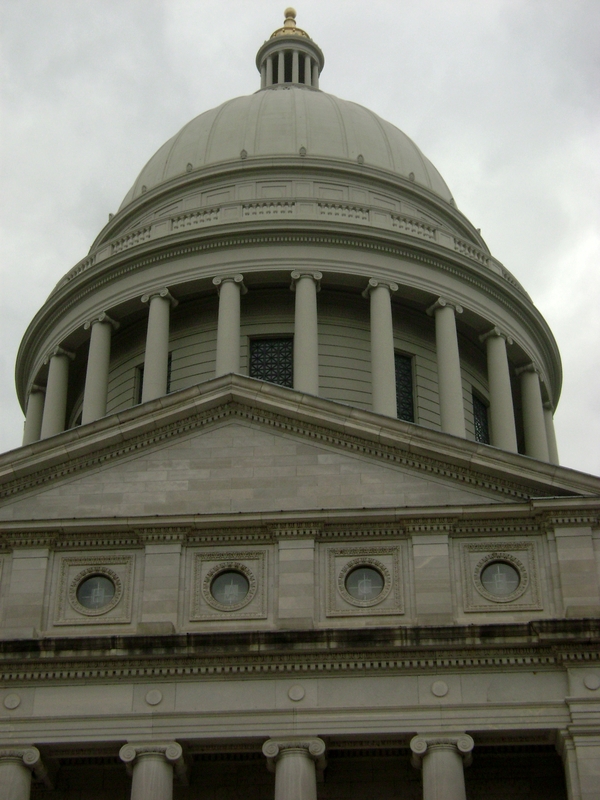 Governor Beebe Sidesteps the U.S. Constitution, Arkansas and Arkansans… Will Be Implementing Obamacare First? Received this email earlier this evening~ h/t to EH ! Subject: OBAMACARE ALERT FOR ARKANSAS!!! Well.. get this… Our Socialistic Governor met with Mr. Obama recently. Our governor has agreed that Arkansas will be the first state to implement Obamacare. Mr. Beebe announced this to the leadership at the Capitol yesterday. He will be changing Medicare by his own power, very likely in April or May. He is clearly on the side of the Socialist. After learning this Mr. Garner will not be presenting his capital gains tax bill tomorrow. 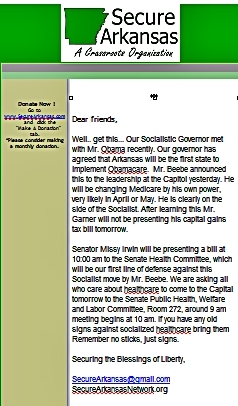 Senator Missy Irwin will be presenting a bill at 10:00 am to the Senate Health Committee, which will be our first line of defense against this Socialist move by Mr. Beebe. We are asking all who care about healthcare to come to the Capital tomorrow to the Senate Public Health, Welfare and Labor Committee, Room 272, around 9 am meeting begins at 10 am. If you have any old signs against socialized healthcare bring them Remember no sticks, just signs. Here’s Beebe’s Email Link Page, let him know your thoughts… NOW! Here’s Beebe’s Twitter Account, let him know your thoughts… NOW! Here’s Beebe’s Phone Number 501-682-2345 … Call Him! What an interesting predicament as Obama waivers… pun intended! Arizona was blessed with the resignation of Napolitano, and received the feisty, gutsy Gov. Jan Brewer. She’s all that and a slice of bread. GovJanBrewer — May 07, 2010 — Governor Jan Brewer sparked a national debate on border security and illegal immigration when she signed SB1070. While Brewer has been celebrated by many for taking action to enforce laws that Washington has long ignored, those who oppose the law have chosen pithy punch lines over aggressive action. Far away from the border at the White House Correspondents Dinner, President Obama decided that Arizona’s unsecured borders and illegal immigration crisis are a laughing matter. Unfortunately, no one in Arizona is laughing. Shameful sham of Bogus POTUS aka the Comedian in Relief and a presumptuous dictatorial Senator. 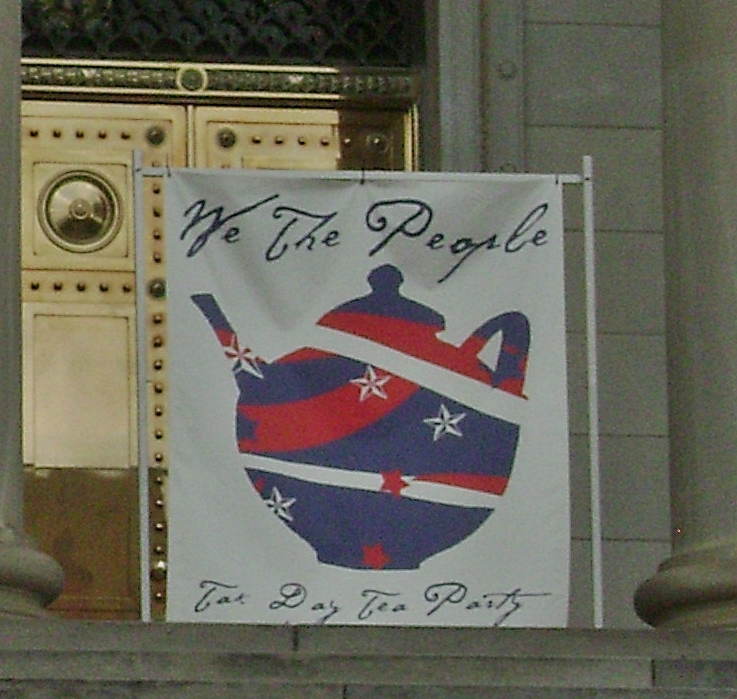 Hey Boston, Hey Tea Party Express, Hey Sarah Palin – Tea Party Like it’s 1773!!! The national Tea Party Express (website: www.TeaPartyExpress.org) motorcade is en route towards Boston, MA for a giant “Boston Tea Party” that will be headlined by Gov. Sarah Palin this Wednesday, April 14, 2010 at 10:00 AM. Most of all just have fun and remember your “Tax Day TEA Party Checklist“! It’s the kickoff to the next election season with full force. Walk, talk and carry yourselves like Conservatives. Let the Liberal Progressives Socialists know we stand together, while all they can muster is a pot shot of lies. They can continue to gloat until the November 2010 vote and beyond. The Tea Party Movement is alive and thriving and never tiring of supporting, protecting and defending the United States Constitution. Updated June 23, 2009 to link the Washington Times Letter Link of Jon Voight’s Letter that everyone is looking for! williambellor — April 10, 2010 — Jon Voight was a guest on the Mick Huckabee show on April 10th, 2010. On the show he read an open letter to America and to Barack Obama where he discussed the future of America and the need for us all to get involved in our individual states Tea-Party movement in order to save our nation. What a Patriotic Call to Action!